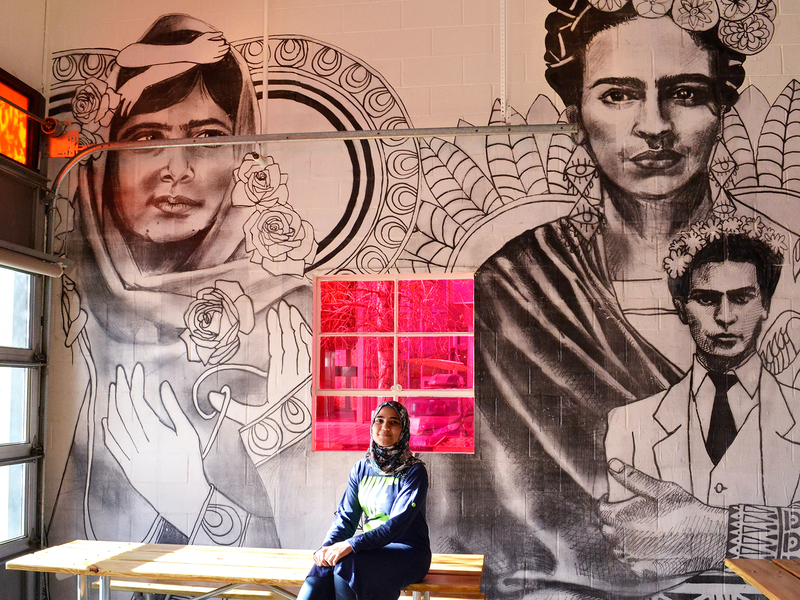 Comal Heritage Food Incubator helps recent immigrants and refugees build culinary careers. Step into Comal Heritage Food Incubator on a Friday, and you’ll smell cardamom, coriander, and clove. 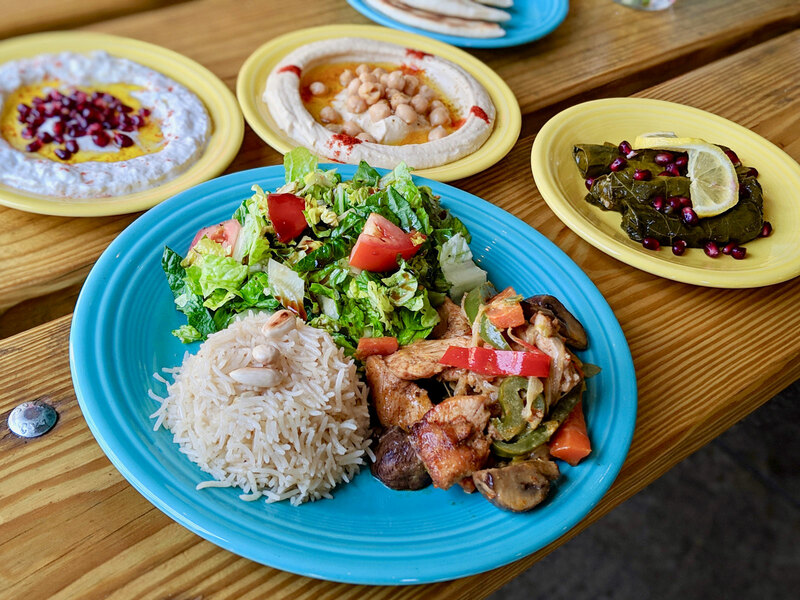 The non-profit restaurant, a sunny café just across the river from the River North Art District, typically serves Mexican food, but on Fridays the brightly-colored lunch destination fills with the scents of grilled lamb and seven-spiced biryani rice. 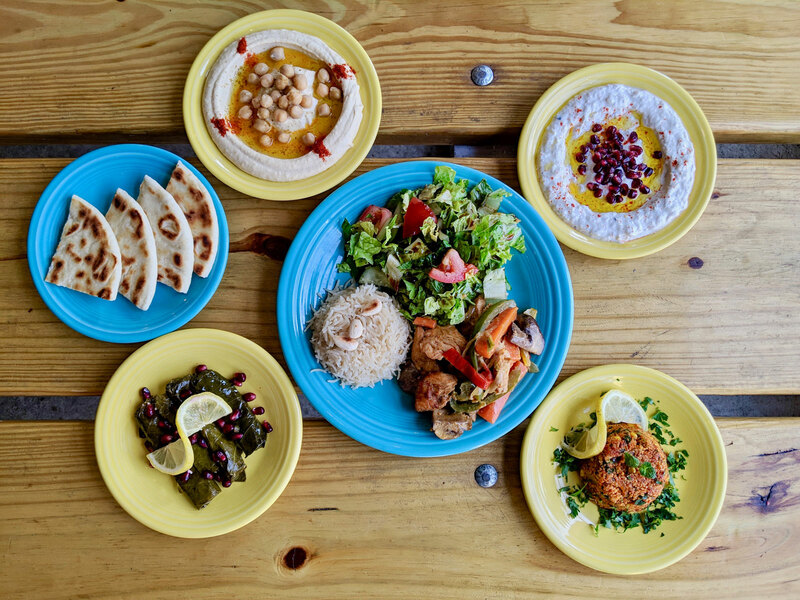 It’s a cuisine that many in Denver haven’t tasted from a place few locals will visit anytime soon: Syria. Comal helps immigrants and refugees as they navigate supporting themselves in a foreign economy. The restaurant opened in October 2016 with a class of 15 Latin American women, and the following year they recruited two mother/daughter pairs of Syrian refugees to join the organization. In September 2017, then-21-year-old Sara Nassr, alongside fellow Syrian refugee Walla Almohamad, 27, arrived at Comal with a tray of food cooked by their mothers. They guided program director, Slavica Park, and chef Tim Bender through the spread of chicken biryani, baklava, hummus, and baba ganoush. Park and Bender invited the two mother-daughter pairs to enroll in the program at Comal, and they served as mentors on their journeys from home cooks to culinary professionals. 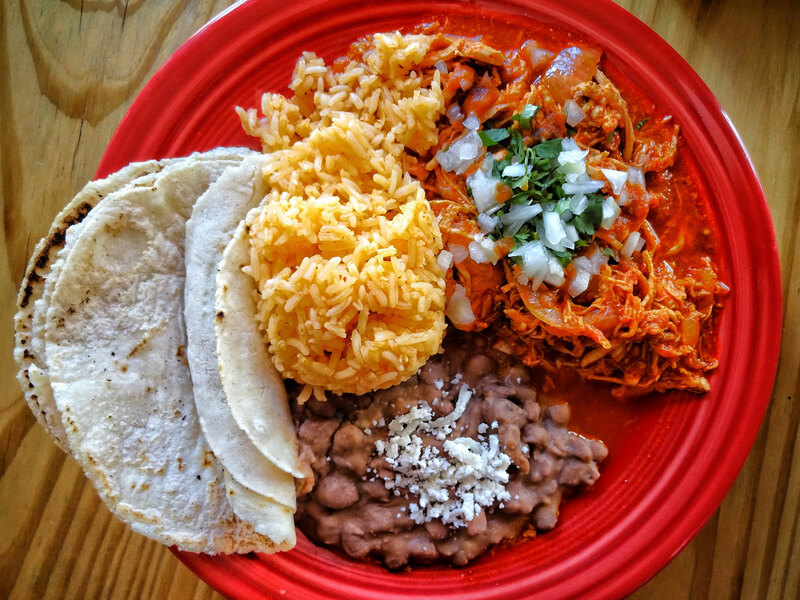 For months they fine-tuned the dishes for the lunch menu at Comal, which resulted in packed tables every Friday and a nod as best Mediterranean restaurant in the city from Westword magazine. For Nassr, childhood is a complicated subject. Born in Baghdad, she spent her formative years in Syria before fleeing war; she remembers buildings turned to rubble overnight. The family ended up in Turkey, where she worked in a textile factory to help make ends meet. Eventually, they advanced through the refugee resettlement program and landed in Denver in 2016. Throughout her turbulent upbringing, food served an anchor. Almohamad and her mother, Omaima Dyiab—the second pair of refugees—have similar stories of tumultuous immigration to the United States. Before arriving in Denver, they fled Damascus in 2014 and spent two years in Egypt. Egypt stopped accepting refugees, so the rest of the family now lives in Lebanon. Two years later, both couples have launched catering companies and for one of the couples, Sara Nassr and Vian Alnidawi, cooking at Comal has resulted in the type of career opportunities that a culinary school graduate would salivate over. When chef Alon Shaya visited Comal while preparing to open his Denver restaurant, Safta, he hit it off with Nassr and her mother. Soon thereafter, he invited them to join him at the South Beach Wine and Food Festival, where Nassr had the culinary rite of passage of eating her first oyster. Shaya invited them to join the opening kitchen team at his new restaurant, which incorporates Syrian influences. Like many cooks, Alnidawi has long drawn culinary inspiration from her grandmother, and she takes care of most of the family cooking. “My grandmother was an amazing cook. I was inspired by her recipes and learned from her. My husband doesn’t like to cook, but he likes to eat.” She says her go-to dishes are rice, saffron potato and chicken soup, and shakriyeh yogurt and lamb stew (she’s even shared an Instant Pot version of the recipe), but dolma is her favorite. She happily reports she can find Syrian ingredients easily in Denver. Although nothing tastes better than a home-cooked meal, any restaurant industry veteran can tell you that professional cooking isn’t as simple as whipping up a grandmother’s recipe. Enrollees at Comal first learn basic health code rules, followed by prep skills, commercial equipment training, ingredient buying, and customer service. “Meeting so many people here helped me a lot,” says Nassr. In addition to cooking, Nassr has her hands full with other projects. She studies at psychology at Community College of Denver, earned a photography fellowship at refugee arts non-profit Picture Me Here, and has even done home visits to remote areas of Colorado to share her story with people who’ve never met a refugee before. “Some refugees who are here for 10 years still don’t have an understanding of the community, because they don’t have the privilege to learn about the people around them,” she says. That refinement culminates in an upcoming coursed dinner cooked by Nassr that incorporates not just her Syrian heritage, but every part of their refugee journey. The meal will begin with a cold smoked salmon topped with a light layer of olive oil and lemon, a typical Syrian dish. Next she’ll prepare a lamb steak wrapped in gyro inspired by her time in Turkey, but with a pan butter and wine sauce. 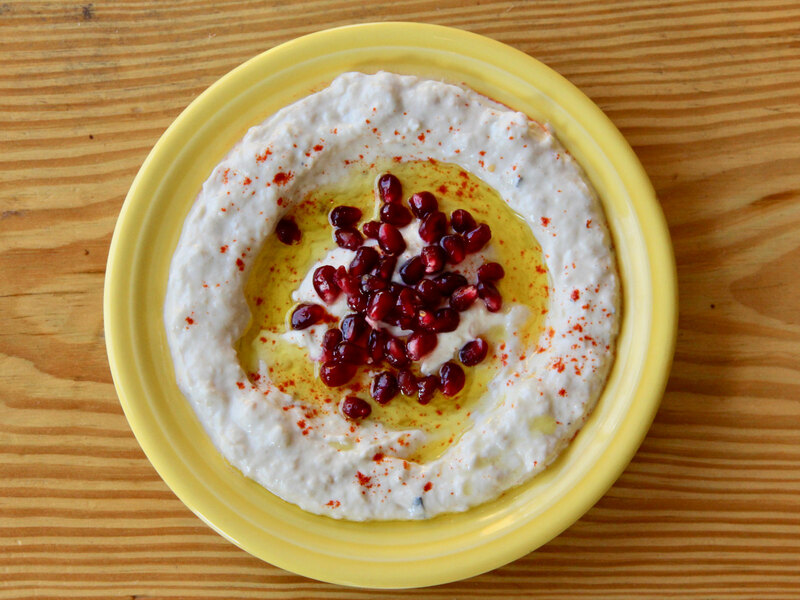 Naturally, there’ll be a side of hummus topped with pine nuts and gyro spices. Following that, she’ll serve a tomato-based Moroccan soup packed with parsley and celery, introduced to her by Turkish neighbors as a light way to break fast during Ramadan. A hearty slice of baklava will finish the meal; the Syrian version isn’t as sticky as most, which lets the flavor of Aleppo’s rich pistachios shine through, although Nassr acknowledges that many of the dishes wouldn’t taste familiar to her friends back home. Comal Heritage Food Incubator, 3455 Ringsby Ct #105, Denver, CO.